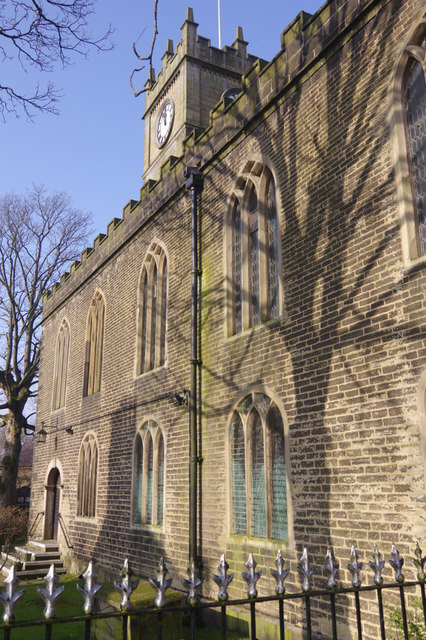 Bright winter sunshine casts a clear shadow of a tree onto the south side of St Matthew's Church. The building dates from 1817-18 when it was rebuilt using the foundations of the 14th century church. The tower, now a landmark in the valley, came later dating only from 1894.